What does it mean to read Paul as an apocalyptic theologian? This isn’t exactly an easy question to answer, and for some the term itself can feel a bit off-putting. If nothing else, though, it means contextualizing Paul by placing him in conversation with the many apocalyptic texts produced during the Second Temple period—such as 1 Enoch and 4 Ezra—and looking to see what these writings reveal about the underlying shape of his theological convictions. In another (related) sense, reading Paul with an apocalyptic lens has to do with highlighting theological emphases such as, among other things, understanding the death and resurrection of Christ to be primarily a redemptive event that marked the overthrow of Sin and Death. 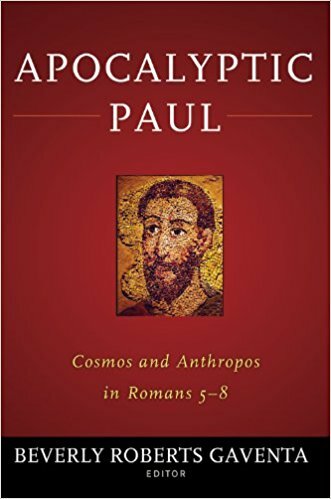 In the words of prominent Pauline scholar Martinus C. de Boer, an apocalyptic construal of Paul’s gospel has “everything to do with the invasive action of God in this world to deliver human beings from this present evil age” (2002, p.33). When I'm not at work, I'm an avid reader of theology, especially related to historical Jesus studies, Pauline thought, Church history, and social justice. I hope to produce clear, concise, and interesting book reviews that spark enjoyable conversations about interesting ideas in theology. My wife is also a pretty awesome theology student herself.